We have drastically reduced the price of the Adidas F50 Adizero in Yellow/Black and Black/Green. 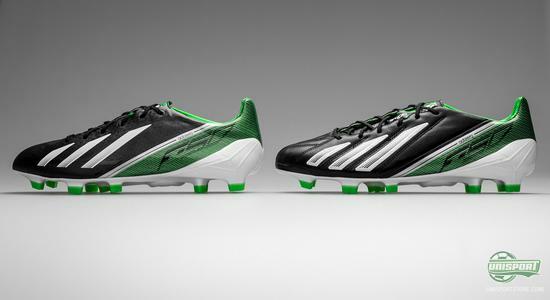 You can right now save 25% on all boots in the Adizero-collection of the two formerly mentioned colourways. 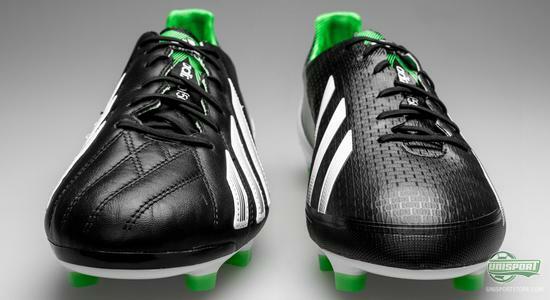 You can freely choose, whether you want a pair of F50, F30, F10, SG, FG, leather, or microfibre; the options are aplenty. 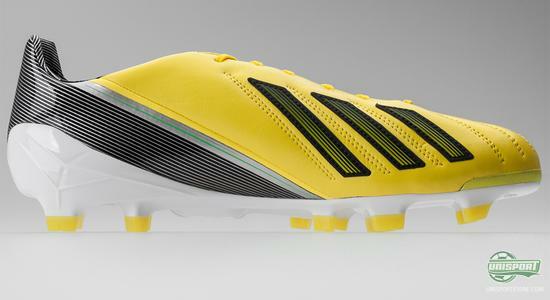 Adidas F50 Adizero has made it to its fourth generation and it continues to develop itself in the right direction. It has become the norm that the boot is released in two alternatives: microfibre and leather. It gives you the chance to choose between the ultralight and precise microfibre boot and the nice, elegant leather boot. No matter which of the two you prefer, you can right now save 25%. 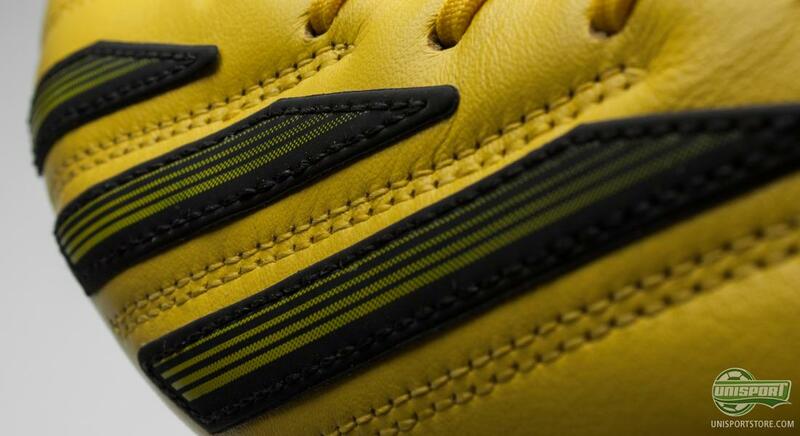 Check out the selection of Adidas F50 Adizero right here. The savings are including, but not limited to the top range models, it includes every single boot in the collection. You can therefore score yourself a pair of turf boots, indoor shoes, or something completely third at a very attractive price. The only thing you need to keep an eye out for is the colourway. 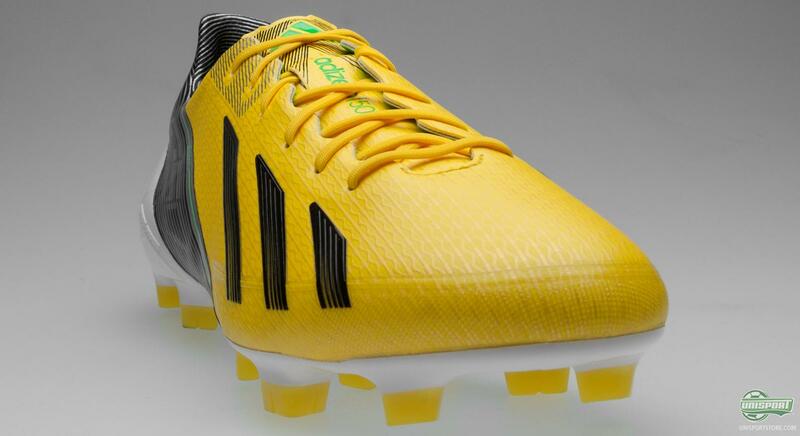 There is freedom of choice between all Yellow/Black and Black/Green boots. It's impossible not to acknowledge the Adidas F50 Adizero and the influence it has on the boot market, as it has some of the games very biggest stars to its name. Lionel Messi, Gareth Bale, David Villa and many more all swear by it and if you wish to match them on the apparel front, now is the time to strike. 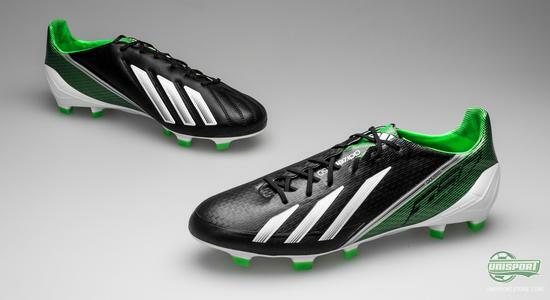 Check out the selection of Adidas F50 Adizero with 25% off right here. The spring season is looming and even though there has been a bit of snowfall around Europe the last couple of days, its not too soon to start dreaming of those lovely grass pitches again. You can now get yourself a pair of brand new boots for the restart of the season and even at a very favourable price. Will you be getting a pair? Share your comments in the box down below.